NICE AND NO ACCIDENTS 7 PASS MINIVAN FOR SALE !! LX BLACK AND LIGHT GREY . BACK UP CAMERA . Our multi-point inspection ensures that this vehicle is in outstanding condition visually and mechanically. Tires and brakes are inspected and serviced to be good for many thousands of kms to come. we are pleased to also offer our 30 days/2,000k exchange policy. 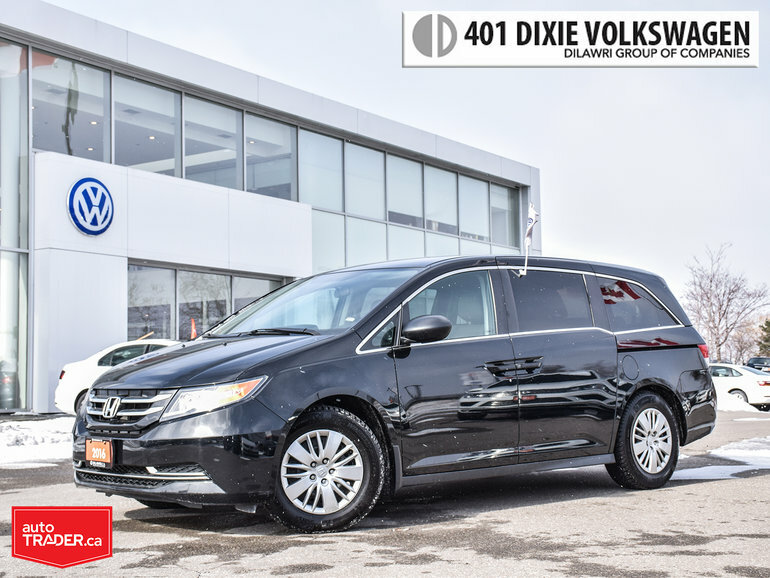 Interested by the 2016 Honda Odyssey LX Trade From OFF Lease. NO Accidents !! Clean?